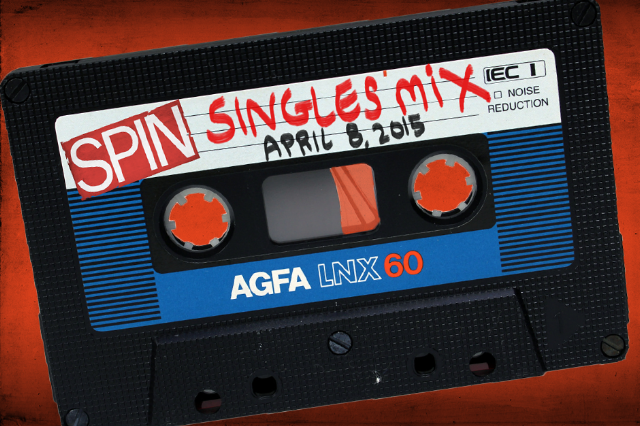 Welcome to SPIN‘s Singles Mix! The SPIN staff has rounded up their favorite, must-hear tracks for your personal playlists. Collecting the finest from Australian psych-rock troupes, Nashville power-pop singers, reunited Omaha punks, and more, these are the songs you need to know right now. Though the R&B star’s recent foray into EDM shouldn’t come as a shock, it’s still a bit jarring to hear Jeremih’s distinctively subdued tone floating over such a synthesized beat. Things fall into place quickly on the radio-friendly experiment that never quite explodes the way you’re expecting it to, allowing Jeremih to keep things close enough to his slowed-down soul wheelhouse. Flo Rida’s verse is pure cheese, but doesn’t everybody love a little lactose now and then? — B.C. Twins Chantal and Kathleen Ambridge technically hail from the Silicon Valley, but they were raised in Montreal — an opposite-coast upbringing that shines through their lo-fi surf-rock single “Pearl & Oyster.” Blending trendy ’90s grunge with classic ’60s beach-pop, the Muscadettes even welcome a bit of the ’80s with sing-shouty B-52s vocals. Do the mashed potato some more when the duo’s upcoming EP, Side A, drops on April 21. — R.B.